The Abbey Court Hotel are proud to boast 23 luxuriously designed Deluxe Lodges offering guests the freedom to relax in style and luxury. The Abbey Court Lodges offer a unique and exciting way to enjoy the luxury of The Hotel’s 4 star service and facilities including full use of the state of the art Trinity Leisure Centre while at the same time enjoying a self–catering break.The Rugrats Kids Club is free and available to junior lodge guests during holiday periods, while staying in one the best family friendly hotels in Tipperary. The Abbey Court hotel and Lodges can also offer a drop in crèche service throughout the day and for your added convenience can arrange in room babysitting. Each luxurious lodge is located just a short stroll from the hotel and designed to give a special living space, airy and bright, yet warm modern and comfortable. 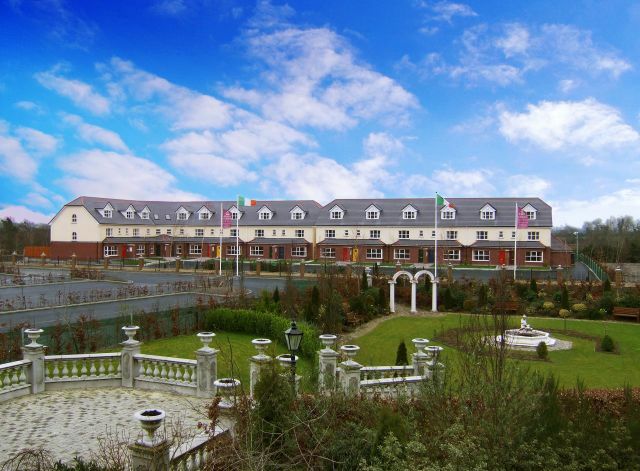 On the long summer evenings dine or relax outdoors in the enclosed wooden–decked rear garden complete with garden furniture while the kids play.The Abbey Court Lodges are the ideal choice for self–catering in Tipperary – a place where magical moments and experiences happen for you and your family! Please contact the office 061 335799 for reservations.